The opportunities for online engagement between customers and companies has opened up within the last decade, which means the work of reputation management has become more complicated. Review sites, blogs, and social media platforms allow customers to amplify their opinions far and wide. Great reviews and feedback can mean a major boost in sales, but bad press doesn’t have to be a death sentence. If you play your cards right, a savvy response to a customer’s complaint can get more mileage than even the most carefully planned SEO or social marketing campaign. While reviews appear on various online business profile sites like Angie’s List and Google Plus Local, Yelp is the most trusted authority in the customer review world. They recommend that business owners maintain and improve their online reputation by responding to customer complaints and regularly updating their content. Keep your comments positive and solution-oriented, and strive to maintain a consistent voice in your response to each and every customer. This may mean having a dedicated person on staff to manage your account, or simply creating clear, well crafted, consistent “template(s)” for responding to reviews. Though it may be tempting – especially if you’re just getting started – to fudge the truth, you should always avoid soliciting positive reviews. Yelp works hard to make sure that all reviews are genuine. But feel free to display your Yelp badge and offer Yelp-approved incentives, including deals and discounts for customers who find your business through Yelp. Customer feedback and online interaction can be great for improving your business and online rep, but be sure to heed the hard lessons learned from businesses who were a bit too upfront on social media. Forbes Magazine notes the many missteps made by Amy’s Baking Company, the small business that achieved their 15 minutes of fame after a brief and vicious turn on a reality TV show. Viewers took to the company’s social media platform to offer commentary on their rude business practices, and instead of using the opportunity to do damage control, the company continued to “feed the trolls.” Where they could have simply responded calmly and apologetically, or just walked away for a little while until their tempers cooled, employees from Amy’s Baking Company lashed out with insults, effectively placing the nail in their reputation’s coffin. While this was a particularly extreme situation, it’s not uncommon to be faced with rude or otherwise negative comments online. The key is to stay on top of your notifications for Twitter, Facebook, and your company’s blog. Respond quickly and professionally to legitimate complaints, but refrain from engaging publicly with those who are clearly determined to find something wrong wherever they go (see this infographic from Smart Insights on how to identify the kind of customer you’re dealing with). A recent survey from Sprout Social reports that business respond on average only 11% to 28% of the time they received a notification. 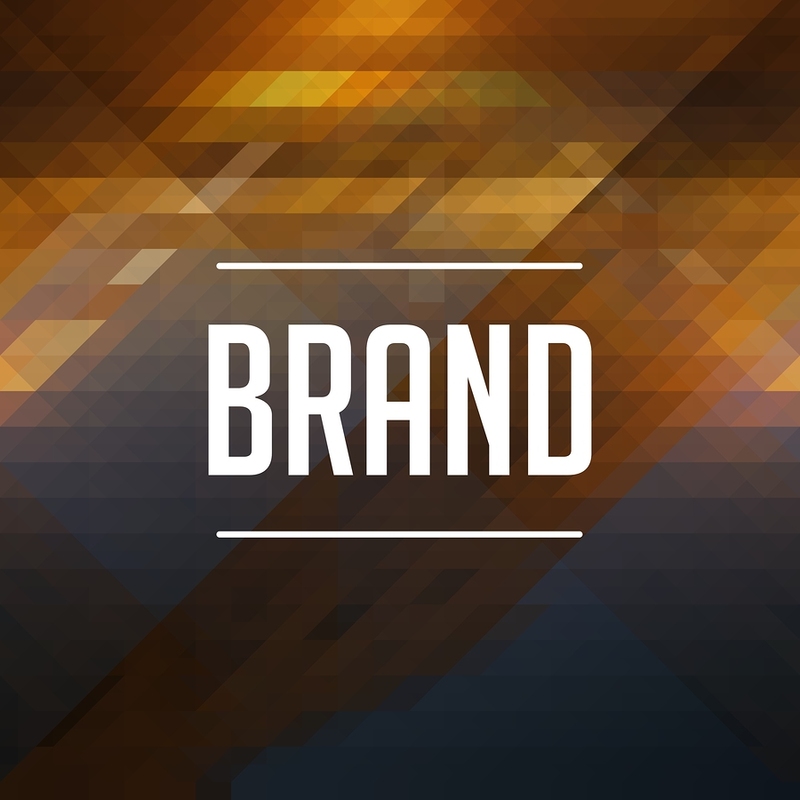 Remember that managing your brand through reviews and comments is a customer service role. By working to respond more frequently, you can pull ahead of the pack and stop negative online attacks in their tracks. For years, search engine optimization companies, online marketing professionals and small business owners have worked to figure out exactly how to get the best rankings within Google search engine results. And for the longest time, people have been used to receive 10 organic results in Google search engine result pages, or SERPs, per keyword. Last week, that number has dropped down to 7 results in Google SERPs and it appears that along with this change, it has become easier for one site to crowd the results, according to Search Engine Land. 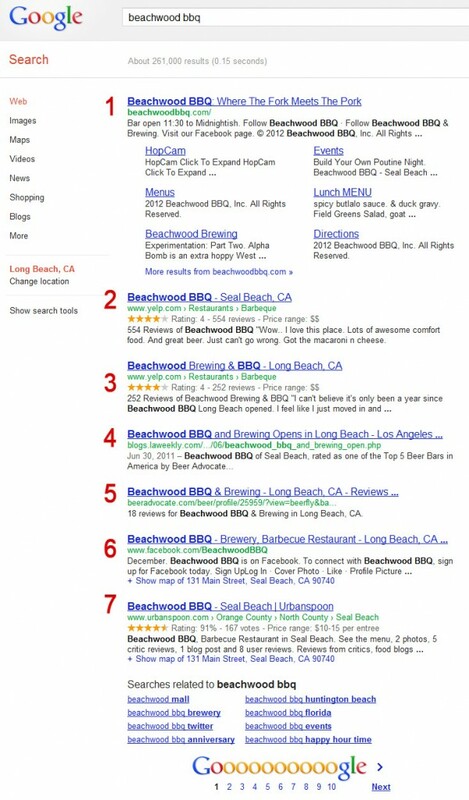 7 results are mostly showing for brand name related searches at this point, which should delight those that have been hurt by negative reviews showing up in SERPs when doing a search for their name. The changes appear to have happened on or around August 16, when online chatter about the changes boosted dramatically. According to Search Engine Land, a simple search for eBay now brought up seven results instead of the traditional 10 SERPs. Dr. Pete at SEOMoz has been tracking fluctuations in Google SERPs and upon hearing word of the changes, did a data sampling of many different SERPs. His findings concluded that about 20 percent of SERPs were below 10 results. The number had previously been 3-4 percent, and spiked dramatically the week of August 16. It has not been determined if the SERP changes will be restricted to brands, as some SERPs of non-brand items and generic search terms are also displaying only 7 results. Search Engine Land noted that it does appear to be directly related to sitelinks, or the number of expanded links from one site that appear underneath a listing on the search result page. Search Engine Land also notes that as the SERPs have decreased down to 7 results on the first page, there seems to be a simultaneous rise in all of those results coming from the same website. SEL states that it does appear to be related to the change, although they could not confirm it. Google has previously stated that it intends to work on search results related to site links and site clustering, so one might assume that this change is related to those statements. Search Engine Land did contact Google for a response to the obvious data changes and appearance changes in regards to the SERPs. Google administrators said that it was indeed working on tweaking the way searchers see results, stating that the search engine giant is constantly looking for ways to improve results for viewers. Sometimes this means giving them a variety of different websites about a given topic, while other times it might mean giving searchers a deeper look into the specific topic they are looking at. 7 organic results for a brand search is a cleaner experience when Google can decipher the intent is indeed for that brand. It doesn’t appear to have helped searches for those who have an exact match keyword domain name. We’ll see how this plays out.